Dr. Mark Oldendorf, of Oldendorf Medical Services in Loudonville, NY, joins Medical Monday to discuss medical marijuana. Certified by New York State as a medical marijuana practitioner, Dr. Oldendorf have certified almost 600 patients for medical marijuana over the past three years. WAMC's Alan Chartock hosts. Dr. Vincent Carsillo of Capital District Renal Physicians joins Medical Monday to discuss internal medicine and nephrology. WAMC's Alan Chartock hosts. General surgeon Dr. Iftkhar Syed of Ellis Medicine joins Medical Monday to discuss a range of procedures including for diverticulitis, gallbladder disease, acid reflux, colon cancer and breast cancer. WAMC's Alan Chartock hosts. Today on Medical Monday, Dr. Jarod Goodrich of Berkshire Health Systems joins WAMC's Alan Chartock to answer your sports medicine questions. On this final Vox Pop of 2018, Dr. Lisa Nelson of Community Health Programs joins Medical Monday. She is here to discuss diet, excercise and stress. WAMC's Alan Chartock hosts. Dr. Paul Lemanski returns to Medical Monday to discuss preventive and lifestyle medicine. WAMC's Alan Chartock hosts. A new medical marijuana cultivation and production facility will be built in the Schenectady County town of Glenville. WAMC’s Southern Adirondack Bureau Chief Lucas Willard reports it’s one of several new facilities joining New York state’s program for the drug. When New York decided to let post-traumatic stress disorder patients use medical marijuana, it joined a fast-rising tide of states. Is A Federal Crackdown Coming On Legal Pot In Massachusetts ? The top federal prosecutor in Massachusetts Monday offered no assurances that he will take a hands-off approach to legalized pot. 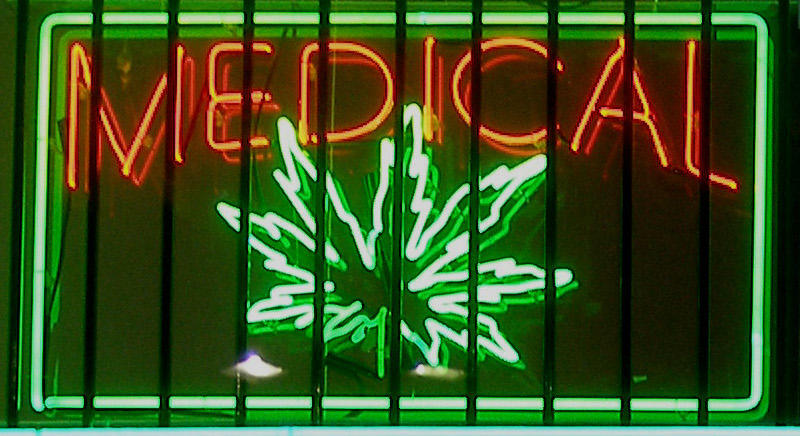 A medical marijuana dispensary is open in Newburgh, New York — the first in Orange County. There was a ribbon cutting ceremony Thursday, but the dispensary has been open for a few weeks and has already served many clients. Rhode Island lawmakers are considering requiring medical marijuana dispensaries to pay 50 times more for their licenses, making the fee the highest in New England by far.